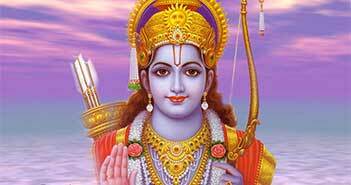 Valmiki Ramayan is an epic poem which narrates the Journey of Sri Ram. It is a story of courage, righteousness, true will and victory of good over evil. Maharishi Valmiki was also a contemporary of Sri Ram. Valmiki Ramayan consists of 24,000 verses (Shloka) in Sanskrit. Maharishi Valmiki is also revered as Adi Kavi, the first poet who introduced the verses in Sanskrit. in terms of poetry. Since then a lot of Ramayan versions were introduced and still relevant in South Asian Region. 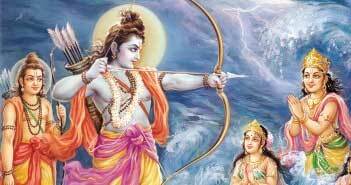 Ramcharitmanas is an epic poem in Awadhi dialect of Hindi which literally means "Lake of deeds of Sri Ram". 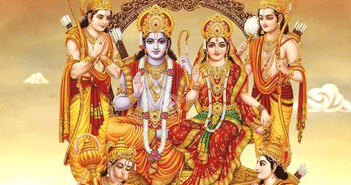 Ramcharitmanas is composed by a great Saint named as Goswami Tulsidas in 16th Century. The core of this literature is based on the Sankrit Epic Valmiki's Ramayan. However, it has been narrated as a story told by Lord Shiva to his consort Parvati. Srimad Bhagwad Gita is the most sacred and holy book in Hinduism. Gita is not only a conceptual narration by Sri Krishna but also a Metaphysical Concept which goes in parallel with Quantum Physics. A superior explanation by the supreme master and a detailed overview of Brahma and Maya, Karma and Sansar and Reincarnation. Gita suggests us that everything that has started will get extinct, Change is the law of nature and the ultimate truth is Moksha.